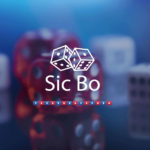 Bitcoin casinos that offer the best Bitcoin Dice games promise high betting limits, a low house edge of 1 percent, fast rolls that let you bet severally in under a second, they offer cryptocurrency exchange, and they employ the principal of provably fair. However, do you know everything about Bitcoin Dice? Can you play comfortably after creating an account on the chosen site? While Bitcoin dice is the simplest Bitcoin games out there, you need to understand everything about the game if you are to add some coins in your wallet. How do you play Bitcoin dice? If you win, then you are paid according to your bet’s probably, less the house edge. But, if you lose, you will not get any payout. Note that the site you are playing at will show your potential payout even before you place your bet. This will guide you betting parameters entered in the interface (bet size, the number to roll over or roll under, and if you are rolling under or above). Your payout multiplier is the payout percentage divided by your chance of winning. Since almost all sites offering Bitcoin Dice have a house edge of 1 percent, your payout will be 99 divided by the chance of winning. To be sure that the site does not rip you off when betting, you need to ensure that their games are provably fair. Since you cannot trust any site or anyone, you need to be able to prove that you lost fairly. You can only do that by running some algorithms. To prove the fairness of the game, you have to know about hashes and seeds. 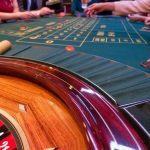 To enhance your safety, you need to play at popular and older sites rather than small and new casino sites. Doing this will protect you from scams. Also, ensure that your digital wallet is reliable and safe. 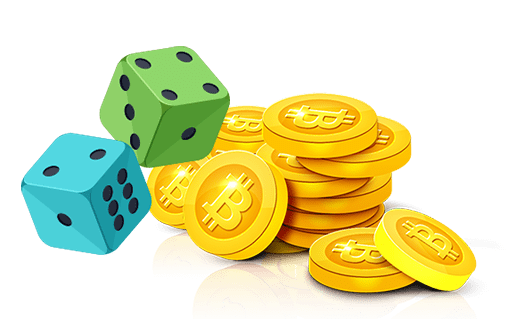 If you are trying your luck in Bitcoin dice, you need to know about the Bitcoin faucets. These faucets refer to the websites that give away free/ bits of Bitcoin. The dice faucet will give you some bitcoins which you could use to place your bets. You should, however, know that the amount from the faucets is small and you will only get a few millibitcoins or satoshis. You just need to build up on these coins, especially if you want to play for long hours. You might want to make sure that the site has a working dice faucet. Since the authorities cannot maintain laws or regulate the market for Bitcoins and subsequently bitcoin gambling, this is a gray area. However, if you are in a state that prohibits gambling using fiat currency, then the use of bitcoins will let you play. No government can control the use of Bitcoins. The lack of regulation also means that you do not have to pay tax because of the anonymity of the Bitcoins. At the same time, the gray lines extend to the fact that you do not have to provide your persona; information when creating an account and so, it is impossible to be found by the government. It is, therefore, clear that the sites that offer Bitcoin dice and other games offer a high level of security (and anonymity) for you. And being decentralized, gaming with bitcoins is completely legal. 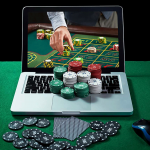 However, you need to make sure that the gambling site you play at complies with the regulations or legislation for gambling in the state where the site is established.